Our new summer show at Frank, Imperfect Geometries, is a group show focusing on the work of six women artists working in textile and print. Jo Elbourne‘s woven pieces (above) describe form through colour and weave. Frea Buckler‘s probable but impossible screenprinted forms (below left) resemble unfolded boxes or origami, playing with illusion and perception. Sophie Smallhorn is showing work (below right) that explores the relationships between colour, volume and proportion through print. 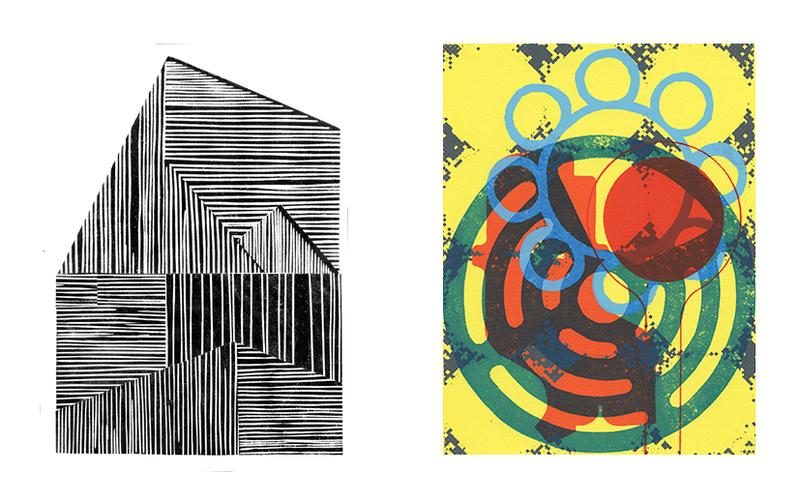 Mary Claire Smith uses both woodcut and screenprint (below left) to reference architectural motifs, playing with shapes created through the intersections of line. Claire Willberg‘s prints (below right) takes inspiration from observing, collecting and recording the discarded objects she finds abandoned on city streets. 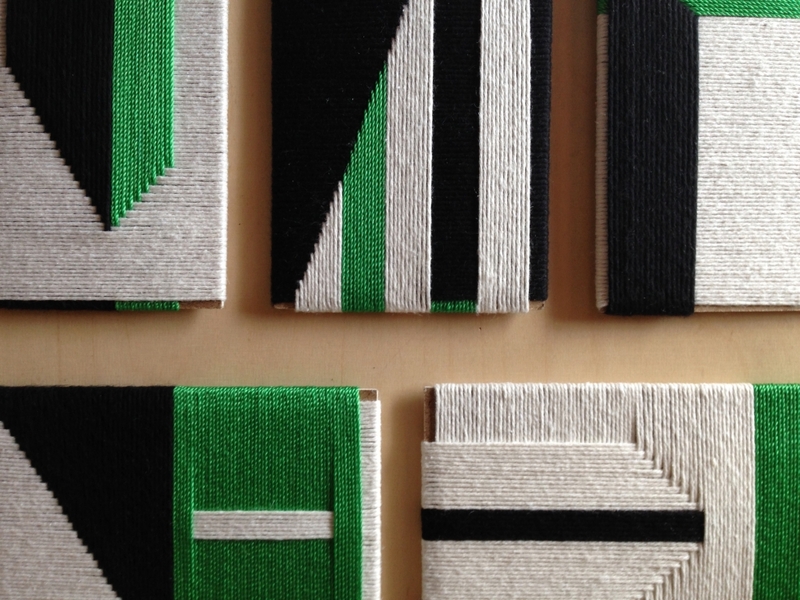 Alison McIntyre creates images with thread, pen and paint weaving in references to mathematics & geometric forms. The show continues until September 7 in-store, with a selection of work available to view and buy online.